Spend an evening with Tierney Sutton, Sara Gazarek & Kate McGarry at Vitello’s this Friday, February 8. Book your tickets today! 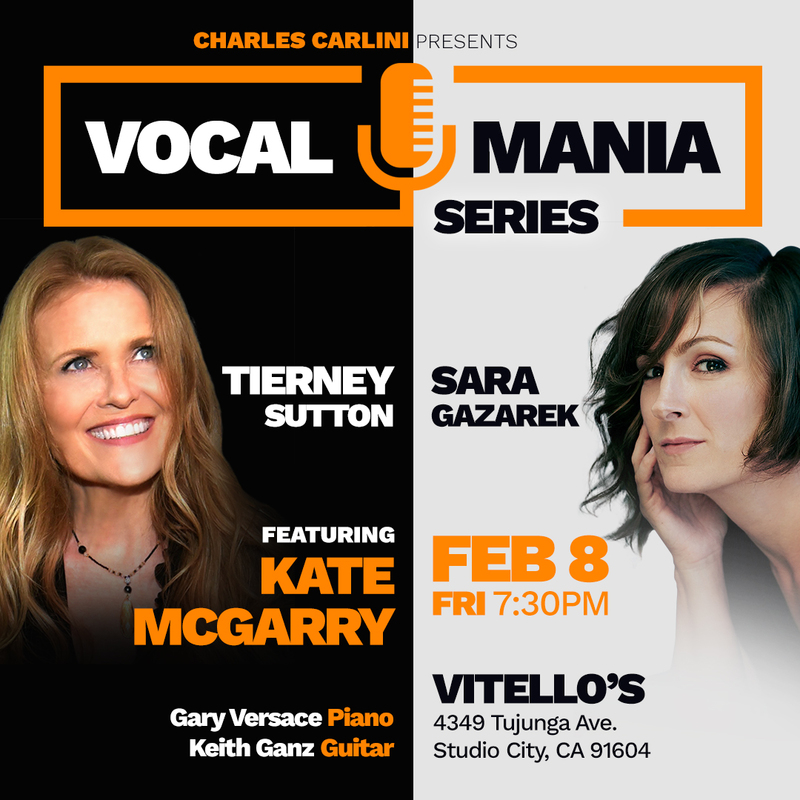 Spend an evening with Tierney Sutton, Sara Gazarek & Kate McGarry at Vitello's this Friday, February 8. Book your tickets today! Acclaimed vocalists Tierney Sutton and Sara Gazarek host a special jazz vocal-centric evening with a little help from their friends on Friday, February 8 at Vitello's. Featured vocalist includes Kate McGarry along with surprise guests. They’re supported by pianist Gary Versace and guitarist Keth Ganz. Showtime: 7:30 pm. Tickets: $30 / $45 VIP. For more info call (818) 769-0905 or visit http://www.vitellosrestaurant.com/.